Dr. Benjamin T. Brooks, Jr. The obituary for Dr. Benjamin T. Brooks is shared as a courtesy to the Brooks family. 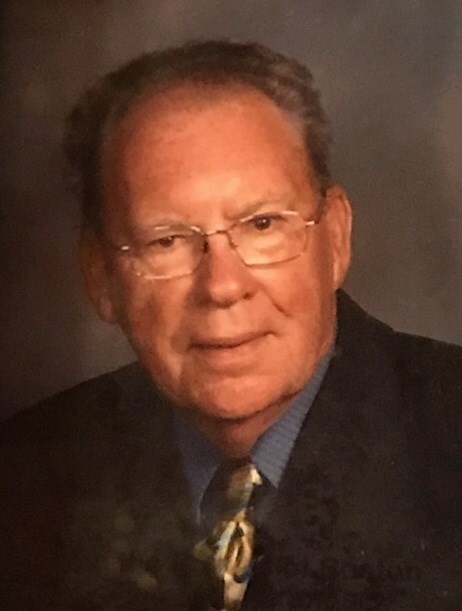 Dr. Benjamin T. Brooks, Jr. of Oak Island, N.C. passed away on February 9th, 2019. A service celebrating his life will be held at 2:00 p.m. on Saturday, February 16th at Southport Baptist Church. Ben was a native of Anson County, N.C., a graduate of Brevard College, the University of South Carolina and earned his Doctorate from UNC-Chapel Hill. Ben enjoyed a long career in education, serving as a teacher, principal and superintendent. He was Superintendent of Lee County Schools, Durham City Schools and Brunswick County Schools. Ben concluded his career as an administrator for the Marlboro County Schools prior to his retirement in 2000. Ben was active in many civic and community activities, including the Lions Club of Enfield, Sanford and Southport as well as the Lexington Rotary club. He found early success in life, being named “Tar Heel of the Week” in 1969 by the Raleigh News and Observer. Ben served on the Oak Island Beach Preservation Society and actively supported beach conservation activities. He represented Brunswick County on the Southeastern Economic Development Council and served on the board of State Employees Credit Union. One of his special interests was supporting the MS Bike Ride with the Oak Island Riders. Ben took great pride in remaining a loyal member of Southport Baptist Church for forty years, serving as an Usher and Chairman of the Scholarship Committee. Ben was a wonderful son, husband, father, grandfather, great grandfather and true friend. He instilled loyalty into his children and always lived by the mantra, “If you want to have friends, you have to be one.” Ben was predeceased by his wife of forty six years, Faye Horton Brooks, his parents B. Tim and Mary Poplin Brooks, a brother Harold Lamar Brooks and a sister Miriam Brooks Burr. Surviving are his children Benjamin T. Brooks III (Emily), Mary Shawn Huggins (Mark), Carole Brooks Dodson (Alan) and grandchildren Megan Fisher (Nathan), Ashley Nelson (Rob), Haley Brooks, Cooper Brooks, Hill Brooks and Brooke Huggins. He had one great granddaughter Evie Fisher. Memorials can be made to Southport Baptist Church at 200 N. Howe Street, Southport, NC 28465, SECU Hospice House at 955 Mercy Lane SE, Bolivia, NC 28422 or a charity of your choice. Peacock - Newnam & White Funeral and Cremation Service.